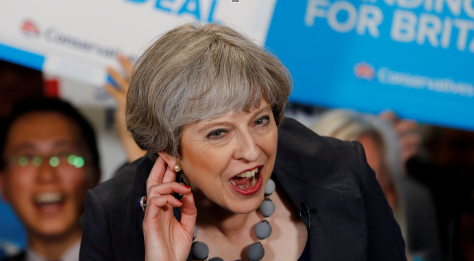 In the final hours of campaigning, U.K. Prime Minister Theresa May turns to Brexit, warning a hung parliament wouldn't be able to stand up for Britain during EU negotiations. A final poll suggests the Conservatives will boost their parliamentary majority. But Labour leader Jeremy Corbyn says there is something in the air as he rallies voters outside London. 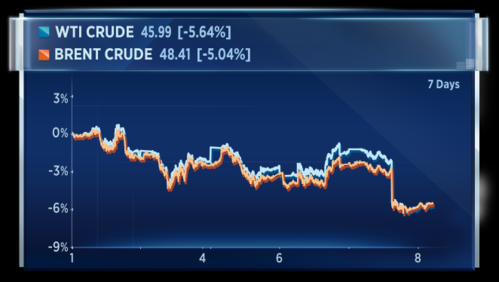 Oil prices plunge, with WTI posting its worst day in 3 months after a surprise build in U.S. inventories, while geopolitical concerns also keep oil traders jittery. "I need loyalty" is the key line in an explosive statement from Former FBI Director James Comey ahead of his tesimony on Capitol Hill, as he prepares to detail his talks with President Trump. 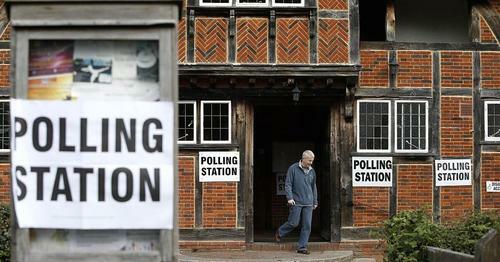 Britons head to the polls today, with important questions for investors on the line. Late polling shows Theresa May's Conservatives on course to keep their majority and fend off a late surge by Jeremy Corbyn's Labour party. Theresa May wants a strong majority for Brexit negotiations. But polls have steadily tightened near the end of the race, meaning a hung parliament is not entirely out of the question. The latest Opinium poll shows the Tories (Conservatives) with a 7 point lead while a Survation survey shows the Labour Party only 2 points behind. The Conservative campaign has attempted to focus on the withdrawal from the EU, repeating a mantra that only it can offer a “strong and stable” government as negotiations with Brussels hot up. Labour has focused more on domestic issues unveiling a populist manifesto that includes higher corporation tax, more public holidays, free childcare and the scrapping of tuition fees. 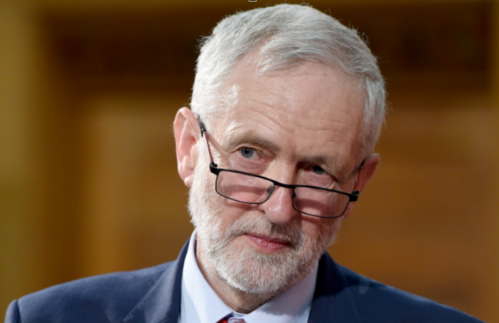 Labour leader Jeremy Corbyn will hope to force a hung parliament. A quick reminder of U.S. performance yesterday. Equities closed higher on Wednesday as investors hoped the testimony from former FBI chief James Comey will be less damaging to President Donald Trump than previously feared. 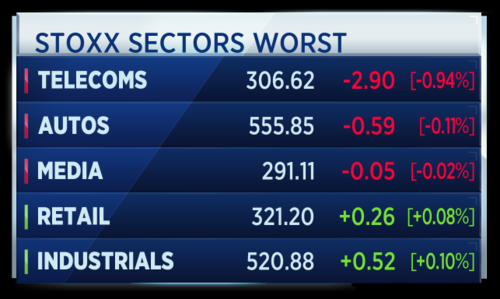 The Dow Jones industrial average rose about 35 points, with Boeing and United Health contributing the most gains. The S&P 500 advanced 0.15 percent as financials led advancers, but a more than 1 percent drop in energy stocks capped gains. West Texas Intermediate futures for July delivery shed 5.13 percent to settle at $45.72 a barrel after the Energy Information Administration reported a surprise build in crude inventories. The priority is the election of a Labour government that will work for the whole country. I do not see the urgency or the need for an independence referendum. What matters is, surely, an economy that works for all, protecting our pensioners, investing in our young people and negotiating a Brexit deal that guarantees a tariff-free trade access to European market and guarantees the rights of European nationals living in every part of the UK to stay here and continue contributing to our economy in the wonderful way that they do at the moment. Jeremy Corbyn of the Labour party makes his final pitch to the electorate, stressing the importance of Brexit to the election. 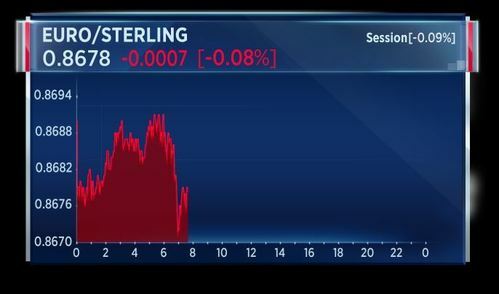 Sterling has steadied ahead of the vote as polls suggest the ruling Conservatives will maintain and potentially extend their majority. President Trump told James Comey 'I need loyalty', according to the former FBI director's pre-released statement to Congress. Comey, who will testify on Capitol Hill today, said the President urged the FBI to make a public announcement saying it was not investigating him personally, and pushed him to drop the investigation into former NSA chief Michael Flynn. Tune in for live coverage of James Comey's testimony from 4pm CET. 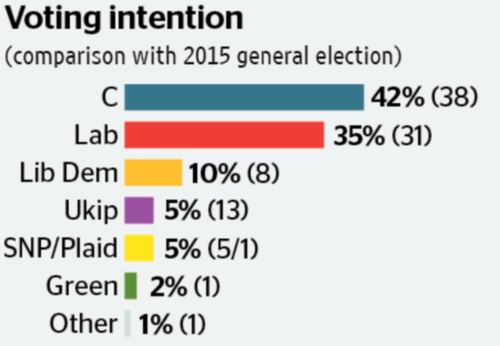 The final YouGov poll for the Times newspaper has shown a 7 point lead for the ruling Conservatives. 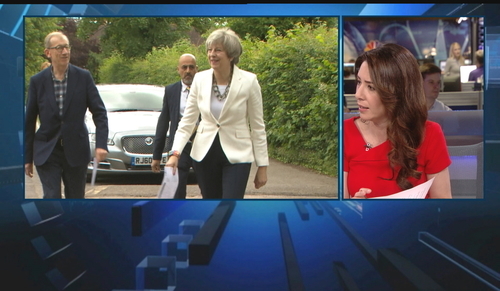 CNBCThe lead of British Conservative Party over the opposition Labour Party has halved to five percentage points, according to a Kantar poll. Did we forget something? Oh yes the ECB is meeting today. It is reported the ECB is likely to trim its inflation forecasts at its policy meeting in Tallinn today. The central bank is expected to present a mixed outlook for the Euro Zone economy, while leaving its policy unchanged, as investors await clues as to when it will begin winding down its 60 billion euro-a-month asset purchase program. 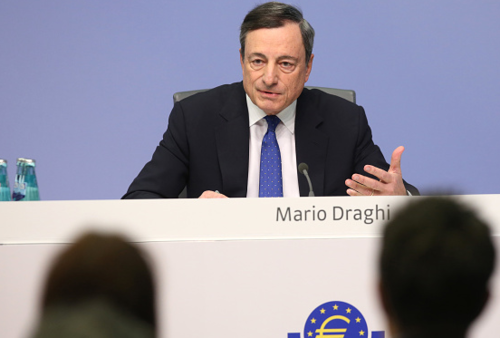 Will Draghi perform another high wire act today? Erik Jones, Professor of European Studies and International Political Economy at Johns Hopkins University is on air. 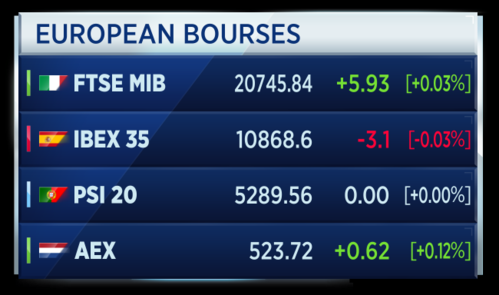 He says the most aggressive Draghi could be today is to drop some language referring to downside risks. 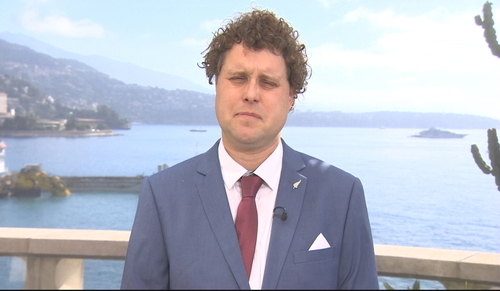 Erik Jones, Professor of European Studies and International Political Economy at Johns Hopkins University says the ECB bought close to 10 billion euros of Italian sovereign bonds and yet the spread to German debt is still significant. This increase for the spreads for Italy indicates significant markets pressure. If the ECB were to pull out the market with the net issuance that Italy has, I think we'd see some real trouble in there. 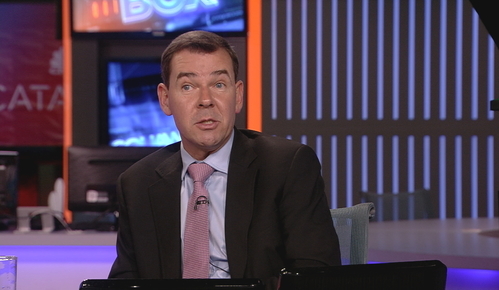 Erik Jones doesn't think the ECB will taper sovereign bond buying too rapidly. I think we need to hear Comey say that Trump was actively pushing him to stop an investigation into connections with Russia. Which is exactly what Comey doesn't say in his written testimony. He gives himself an out by suggesting that he may have misunderstood Trump. 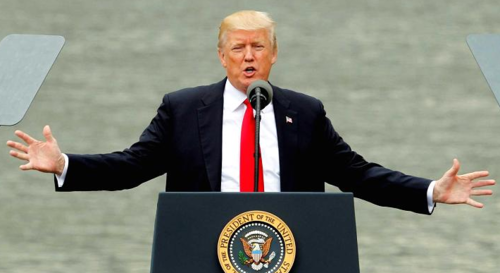 Erik Jones of Johns Hopkins University says he thinks there is so, far no real reason for impeachment to take place against President Trump. Trump's conversations with James Comey will be in sharp focus today at the testimony of the former FBI director. 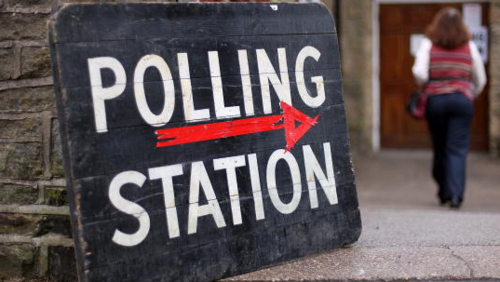 And the polls are open in the United Kingdom's General Election. That means for the rest of the day you will hear almost no election-related sound bytes on TV and radio. The internet rules are different and we can still discuss the election but cannot relate any information that may suggest how people are voting. Vote early, but not often! In possibly the most British of all UK election related things, there is a twitter hashtag known as #dogsatpollingstations. Yes, us Brits like to spice up our democratic right by taking a picture of our dog at the polling station. Unless a guide dog, they have to stay outside though! Alibaba's 2 day investor event is just kicking off at the company's headquarters Hangzhou. CEO Daniel Zhang and Chairman Jack Ma will both address shareholders. Eunice Yoon in Beijing says investors are focused on the growth story and say any number higher than 36 percent will move the New York listed stock price higher. She says Alibaba's efforts to move into the physical retail space will also be closely watched. Polls are now open in a U.K. general election which has been framed by Brexit, terror attacks and social care. 'I need loyalty' is President Trump's demand of James Comey, according to an explosive statement from the Former FBI director ahead of his testimony to Congress. 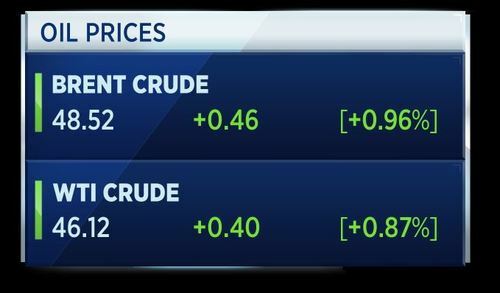 Oil prices recover after WTI posts its worst day in 3 months on a surprise build in U.S. inventories, while geopolitical concerns also keep oil traders jittery. 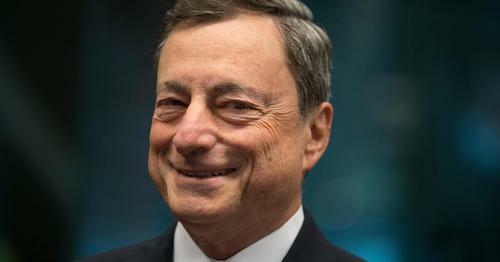 Mario Draghi is expected to keep the QE flowing despite the surprise upturn in the Euro Zone economy. But will the ECB president drop the reference to "downside risks" for the first time in his tenure? Arjun Kharpal is at CES Shanghai where he has been looking the the domestic drone market. The rescue of Banco Popular strengthens the case for intervening in Italy's two weakest lenders, a senior EU official tells Reuters. The source says regulators believe they're now in a better position to resolve the crises at Banca Popolare di Vicenza and Veneto Banca. But there's still the challenge of finding a willing buyer. The ECB stepped in at the eleventh hour to help avert a collapse of the Spanish lender, declaring the bank "unable to pay its debts or other liabilities." The final decision to sell Popular to Santander was made at about 6:30 CET Wednesday morning. 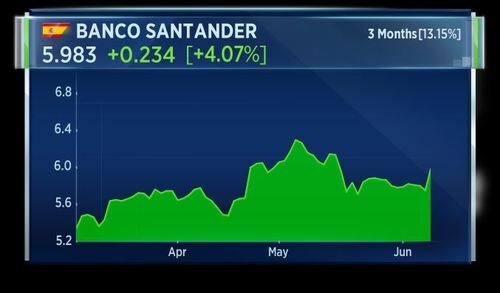 Francesco Castelli, Portfolio Manager at Banor Capital is on set and says the deal makes sense to Banco Santander in the end, even if they originally didn't want to buy Popular. Castellis says the gross book value is 37 billion euros but the real (net) book value is around 20 billion euros. Sterling/dollar overnight implied volatility jumps to 30.75 percent on the day of UK election, highest since July 2016. First Property Group has posted record pretax profit of £9.1 million pounds for the full-year, up 24 percent from the year before. 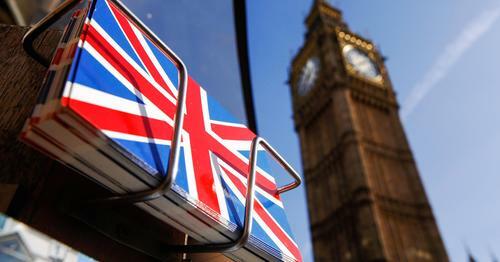 The British property fund manager also reported a 35 percent rise in assets under management and hiked its dividend. 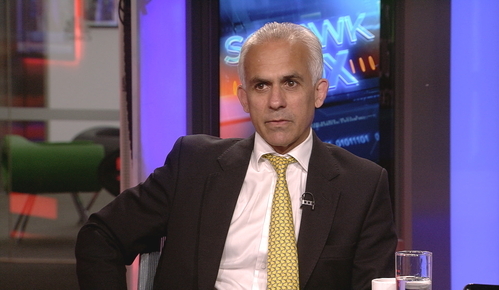 Ben Habib, the CEO of First Property says institutional buyers are a little bit more nervous than retail investors on U.K. property. Habib said an easing of value in UK prime property has occurred for the first time in his career. 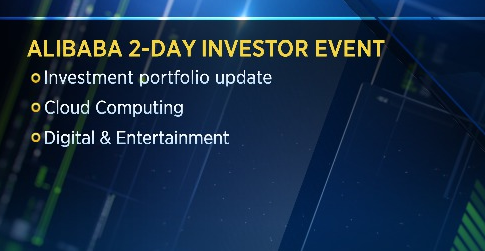 And markets have opened on a big day of events. We are seeing a small positive bias. Individual bourses looking like this. Portugal not yet sending its open data. Credit Suisse says it has sold over 99 percent of the shares on sale in its rights offering to existing investors, raising 4-point-3 billion dollars to fund its strategic overhaul. Switzerland's second-biggest bank will sell the unsubscribed shares to the market - and they could begin trading as soon as this morning. 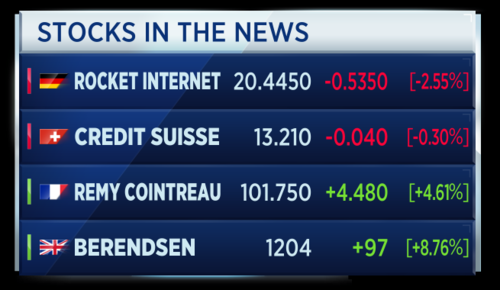 Credit Suisse says its common equity tier 1 ratio stands at 13-point-4 percent after the capital increase. French drinks company Rémy Cointreau is upping its dividend after posting a full-year net profit which beat analysts' expectations. 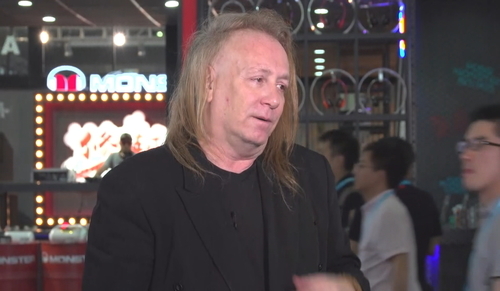 Remy says strength in the Chinese drinks market, combined with cost cutting measures, boosted performance. The spirits and cognac-maker has also raised its operating margin forecast for the rest of this year as it sees market conditions improving. No boost for Rocket Internet. 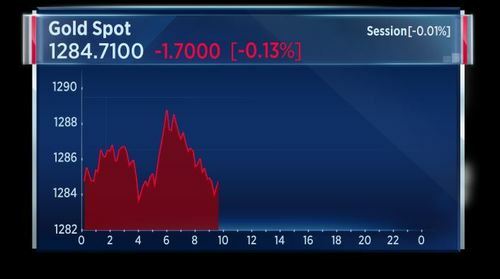 Shares falling in Frankfurt after private equity firm Kinnevik says its selling shares in the firm. Berendsen has accepted a takeover proposal from French rival Elis, after the offer was raised for a second time to £2.2bn. This after the British laundry giant's board said there had been no "basis for any further discussions". We are pretty resilient on the European economy, not particularly on consumer. We have some exposures in consumer stocks across Europe but when we look at Europe generally we have seen growth improving across the various market. It is not about one or two countries anymore. I think demand from the corporate side will outperform the demand from the retail side and the retail consumer. In general, cash flows are good, healthy, growing. Europe all of a sudden is accelerating growth but as we look at the situation today, the US and China are slowing significantly. 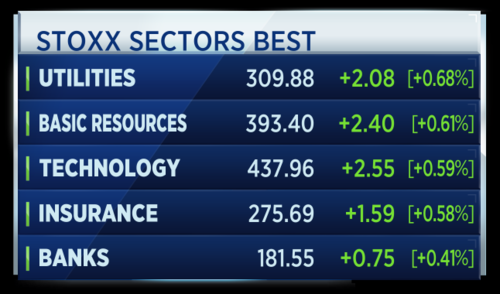 Utilities and Basic Resources are leading the way on a sector basis at this early stage in trading. Telecoms are dragging. The post-election rally in financial stocks shows signs of running out of steam but investor enthusiasm for tech shares remains strong. 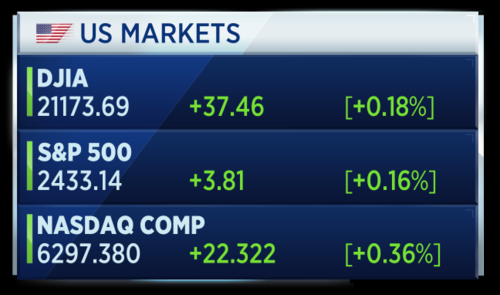 The NASDAQ is up over 20 percent since Donald Trump's election victory. And big-name Chinese tech stocks have performed even better over the period, with the likes of Tencent and Alibaba rallying more than 40 percent this year. Most of the people like the goggles for 10-15 minutes but they like the immersive feel. We have come up with 3D projections, taking spheres and create a whole immersive interactive feel. So the same feel but without the goggles. Vodafone, AB Foods, Johnson Matthey and WPP are among stocks that have gone ex-dividend today. So far though, wider Europe has managed to maintain a slight positive bias. That's the spirit! Shares of Remy Cointreau touch a record high after the French liqueur maker posts a 14 percent rise in annual operating profit, thanks to growing demand for the brand's cognac in China. No boost for Rocket Internet. Shares of the e-commerce investor fall in Frankfurt after private equity firm Kinnevik says its selling shares in the firm. Italian banks are considering assisting in a rescue of troubled lenders Popolare di Vicenza and Veneto Banca by pumping 1.2 billion euros ($1.4 billion) of private capital into the two regional banks, sources familiar with the matter told Reuters. The Italian government plans to lead the rescue but EU competition authorities have requested a private capital injection as a condition to approve the bailout. The two banks need 6.4 billion euros in capital. The ECB is unlikely to change its policy today as it holds its June meeting in Tallinn, however investors are cautiously optimistic that President Mario Draghi could tweak his language to say risks are more balanced. 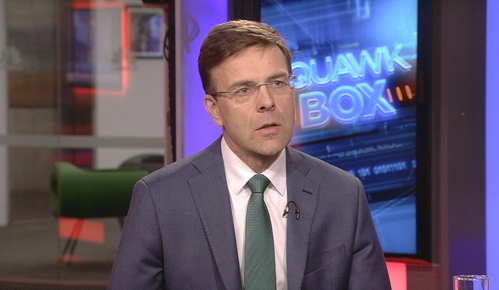 Reinhard Cluse, Chief Economist for Europe at UBS is on set. 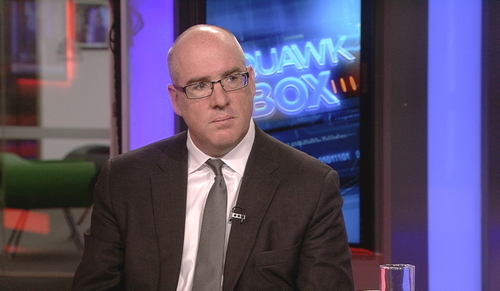 Cluse says the euro will appreciate to 1.17 versus the dollar by the end of next year. However, he doesn't believe the ECB will take the euro into account to a major degree when considering the short term outlook. On tapering the UBS will continue to make the case for continuous accommodative policy. 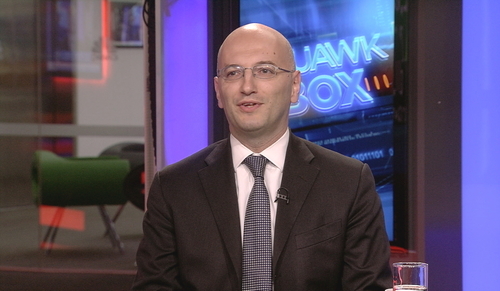 However, he says, the Hawks (those that favor ECB tightening) will be pushing very hard against the ECB stance. 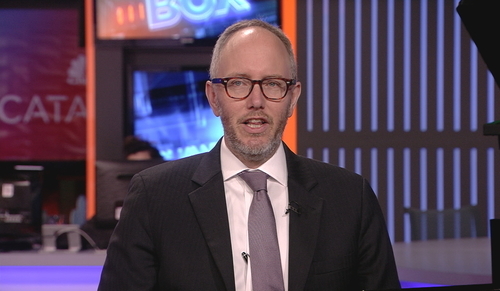 Cluse says interest rate hikes in the euro zone could come as soon as 2019. He covers that by pointing out that Draghi can still point to poor wage growth and low core inflation as he continues to provide accommodative policy. Now that the sun is shining in Europe, it does make sense to wind down the QE program. 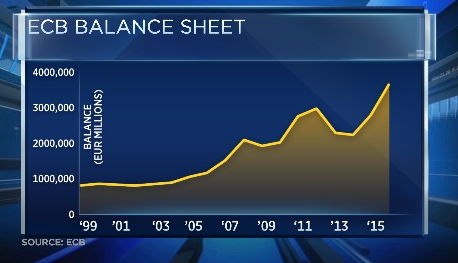 ECB owns more and more. Rocket Lab has made gains in the race to commercialize space. The New Zealand-based company, which counts NASA as a customer, successfully launched its Electron rocket into space last month and is preparing two more test flights this year. Space is a really interesting time right now because what you are seeing is typically spaces being dominated by governments but it is really a point in time when commercial entities are starting to dominate and provide commercial space services that typically lift up the governments. There are clear signs of softness coming. The car sector is an obvious one with two G7 countries down year to date. Housing. take the UK. 55,000 flats above a certain price point. You know how many sell a year? 6,000. It's the testimony we've all been waiting for. 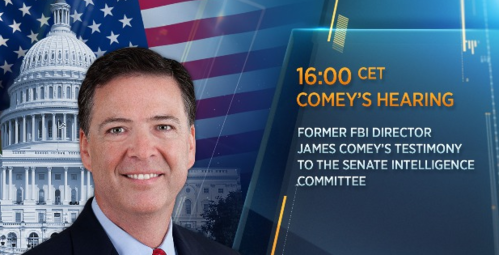 Just a few hours until Former FBI director James Comey gets in front of Congress to tell lawmakers how Donald Trump demanded 'loyalty' in the Russia Probe. The Draghi Dilemma - The ECB president is expected to keep the easy money flowing, as the central bank contends with a surprise upswing in growth, but falling inflation. 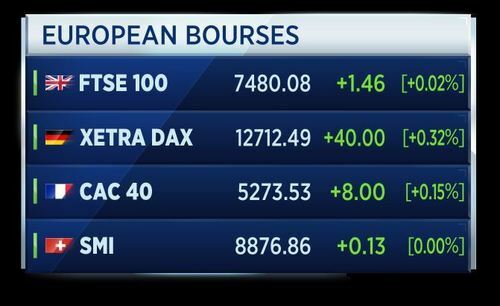 Investors on edge in the face of these key events, with European stocks hugging the flatline one hour into trade, while oil recovers from a five percent drop stateside. 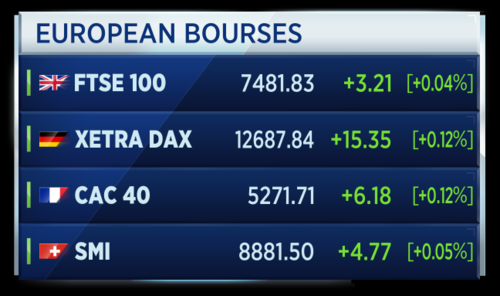 The euro could rally Thursday afternoon in the aftermath of a monetary policy meeting from the European Central Bank (ECB), despite earlier reports suggesting a dovish stance from President Mario Draghi. 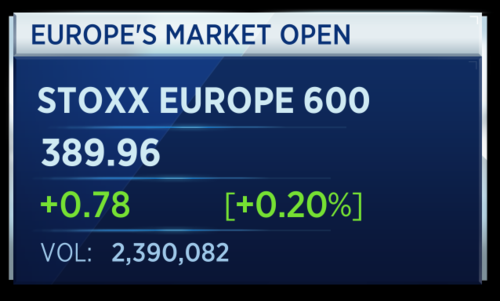 Draghi will try to roll out the dovish artillery to avoid the impression that there is any shift in the ECB's stance, but a shift is taking place nonetheless as the ECB will need to eliminate the more dovish guidance from its latest statements, like the possibility of more easing, John Hardy, head of forex strategy at Saxo Bank, told CNBC via email on Thursday morning. 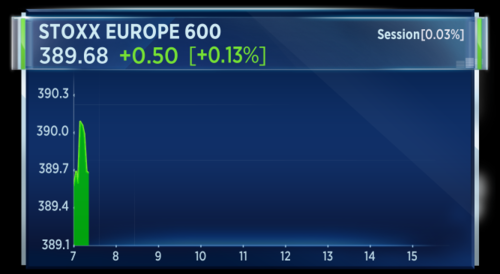 CNBCThe euro could rally Thursday afternoon in the aftermath of a monetary policy meeting from the European Central Bank (ECB), despite earlier reports suggesting a dovish stance from President Mario Draghi. A sharper than anticipated drop in the Eurozone inflation rate in May alongside the likelihood of a more muted pull from oil prices in the second half of 2017 should trigger a modest downward revision of the ECB’s 2017 inflation forecast of 1.7%. I would be surprised if they cut the 2018 inflation projection of 1.6%, with the balance of risks to the growth outlook shifting upwards in recent months. The euro could falter slightly if the ECB again embraces a more dovish stance after appearing to shift to a more balanced assessment in the previous meeting. However, the losses are likely to be limited by better economic news coming out of the region in tandem with an appreciable retreat in political risks after the supportive outcomes in the Dutch and French elections coupled with the prospect of relatively painless vote in Germany. Still, significant challenges await the euro, namely a potentially toxic Italian general election no later than May 2018, the imminent start of the Brexit negotiations and some uncertainty of the likely pace of monetary tightening in the US. Labour leader Jeremy Corbyn has just arrived at a polling station in the UK to cast his vote. 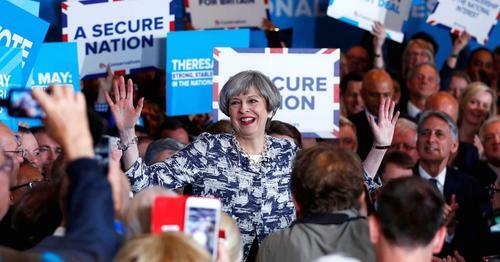 Polls have opened in the U.K. General Election which is seen as crucial to the strength of the country's negotiating position as it nears an exit from the European Union. The ruling Conservative party, led by Prime Minister Theresa May, is looking to increase the 17-seat parliamentary majority that it currently holds in the House of Commons. 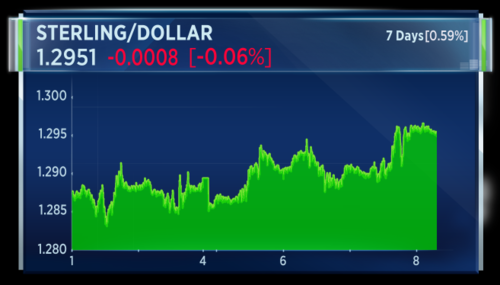 CNBCPolls have just opened in the U.K. General Election which is seen as crucial to the strength of the country's negotiating position as it nears an exit from the European Union. The euro zone economy grew by more than previously estimated in the first quarter and at its fastest rate in a year, EU statistics agency Eurostat said on Thursday, ahead of a European Central Bank meeting likely to keep policy unchanged. Eurostat said the 19-country euro zone expanded by 0.6 percent quarter-on-quarter and by 1.9 percent year-on-year. That compared with earlier estimates of 0.5 and 1.7 percent respectively. Greece's jobless rate dropped to 22.5 percent in March from a downwardly revised 22.9 percent in the previous month, statistics agency ELSTAT said on Thursday, but remained the euro zone's highest. reached 1.068 million people. Hardest hit were young people aged 15 to 24 years, with their jobless rate dropping to 46.6 percent from 50 percent in March last year. If U.K. Prime Minister Theresa May pulls off an election victory on Thursday, the pound will likely stage a rally, analysts at Macquarie said in a note on Thursday. 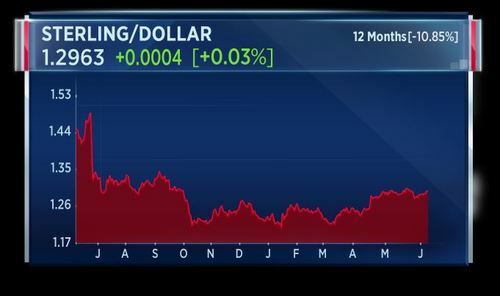 CNBCIf U.K. Prime Minister May pulls off an election victory on Thursday, the pound will likely rally, Macquarie said in a note on Thursday. Gold held steady on Thursday as investors awaited cues on market direction amid a number of geopolitical events later in the day that could boost the safe-haven demand for the metal. Crude futures edged up in early Asian trading on Thursday following heavy losses in the previous session after official data showed that U.S. inventories rose for the first time in 10 weeks, reawakening concerns over a glut.